Hi. I'm a new member and (hopefully), new WI64DL owner, however, I have some doubt. Any help from other forum members on this would be much appreciated. I bought, what I think, is a WI64DL for $200. It's in great shape, came with a hard case. However, it does not have VCC or Buzz Feiten tuning system. It does have the Grovers. It is labelled as made in Indonesia. I have searched on the internet for some info on this, and found very little, except for a suggestion that some WI64DL's from the Indonesian factory shipped without the BFTS or VCC. If this is the case, that's okay. 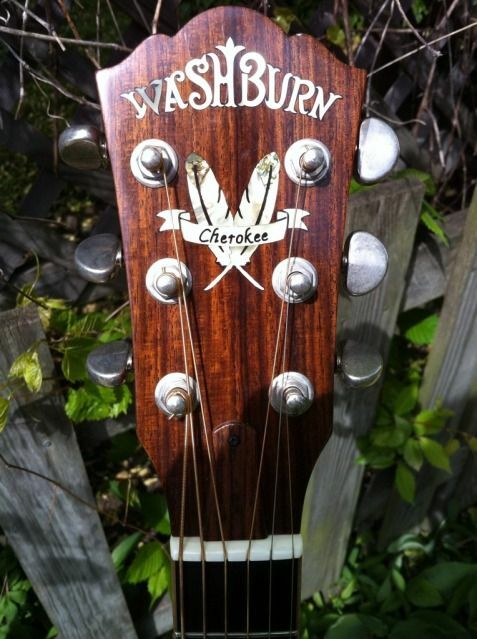 As long as the guitar is genuine Washburn and has the mahogany body and neck etc, I'll be happy. Any suggestions as to whether I have a genuine WI64DL or a fake? Thanks. hard to say. I would take a photo of the back of the headstock, showing the serial number and the country of origin, as well as a couple other photos, perhaps of the neck joint, and the interior of the control cavity, and send it to customer service with your concerns.